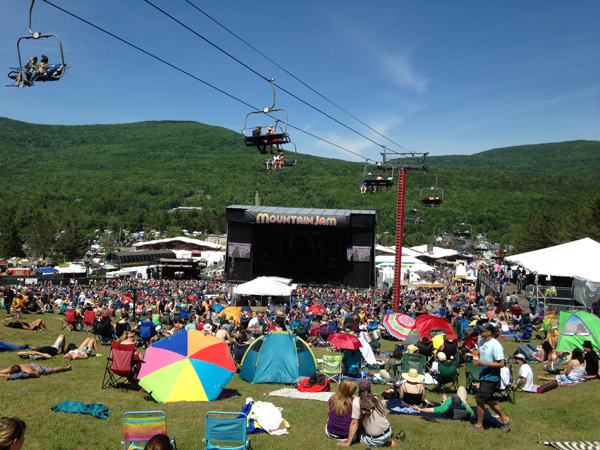 MOUNTAIN JAM – THE WHOLE THING! 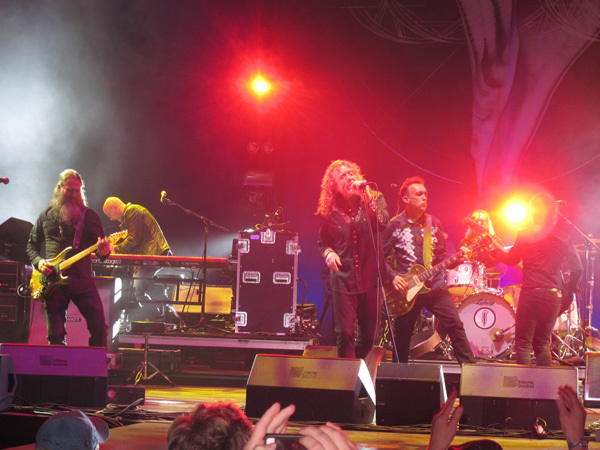 So much great music every year but Robert Plant was over the top… playing vibey space-shifters material and plenty of Zep! 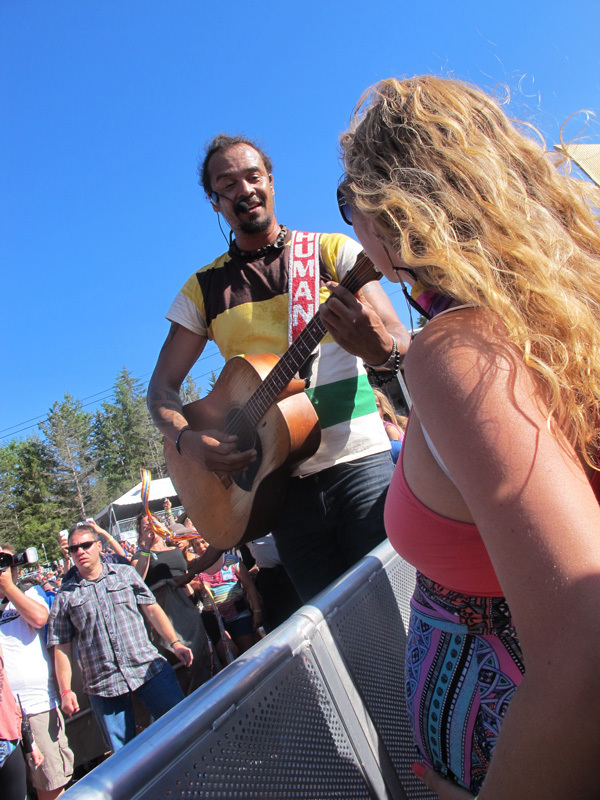 Michael Franti checking out the baby-bump mid set was pretty cool too! 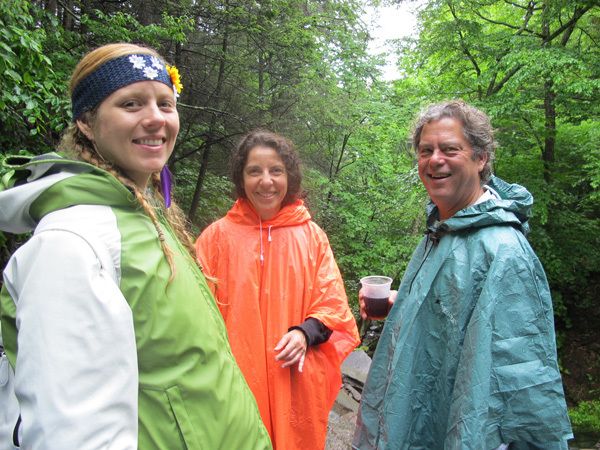 We even made the trek up to the water fall where.. complete with the aptly named “beer tent”. Got a call from my friend Keenan… “Wanna see Muse tonight?”. “Um, yes please.” Webster Hall VIP which basically means a free-for-all party on the balcony. Great band, very loud, terrible site lines,… thought the balcony was gonna fall a couple times when the crowd got going… epic night! 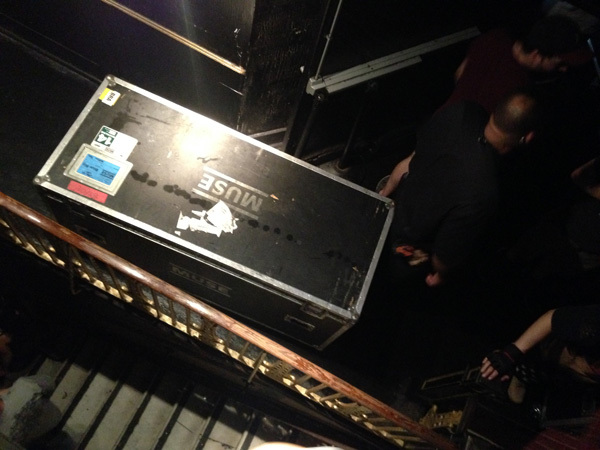 Even caught a glimpse of the road cases going down the stairs… gotta love an old school load out! Been working with The Pimps for a few months getting their new album graphics sorted out. Brian J wanted something that looked like it was washed onto wood, (a cool photo printing technique)… after much back and forth regarding web banners and printing edits, everything was finally ready and it was time to let loose. 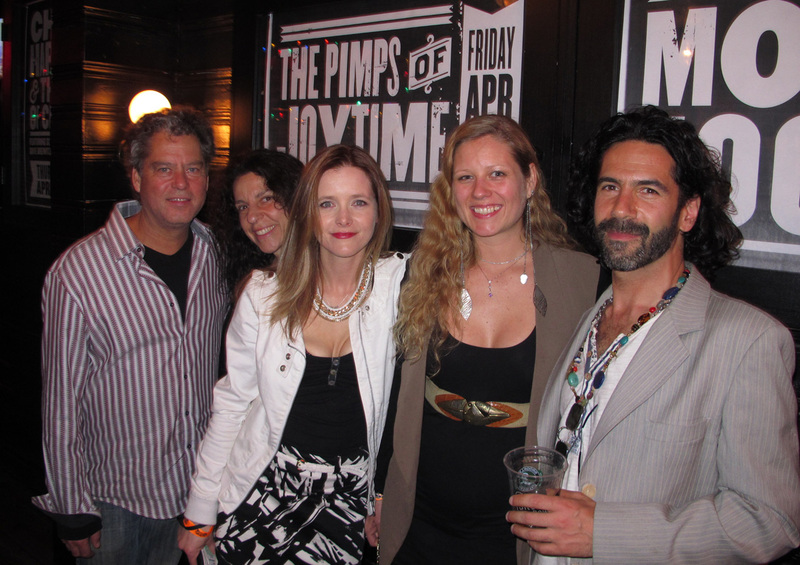 My sister Maggie came to town, Jimmy, Selma & my sweet Lauren as well… we had a VIP blast! Fried chicken for dinner (never tried the FC at BK? Wha?! 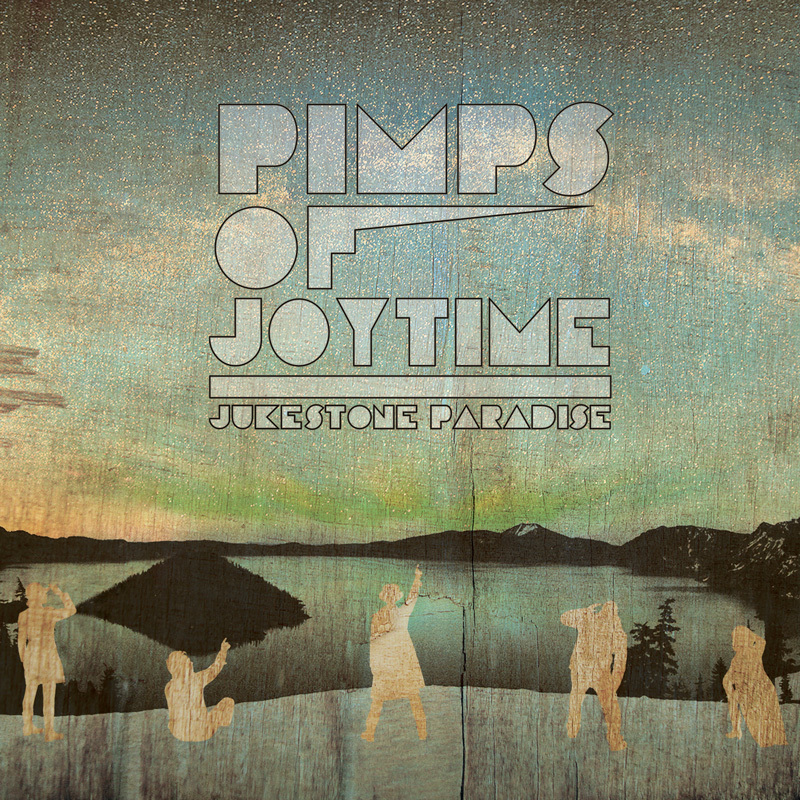 )… long and groovy set had the place bumpin’ bumpin’… Jukestone Paradise is great… a good summer in Pimp-Land forecasted! Every year Soulive takes over Brooklyn Bowl for a run. Every year I go. A few times… it’s really good music, a few blocks from the studio and after a long day of work it’s hard to not want to run over there and see what’s shaking. Charles Bradley played the opening night which was epic but the highlight of the run, for me anyway, was Chris Robinson Wednesday Night (the second of 2 shows). The mood was great, they opened with a soulful version of Remedy and ended with George Porter Jr. On bass… I mean people! 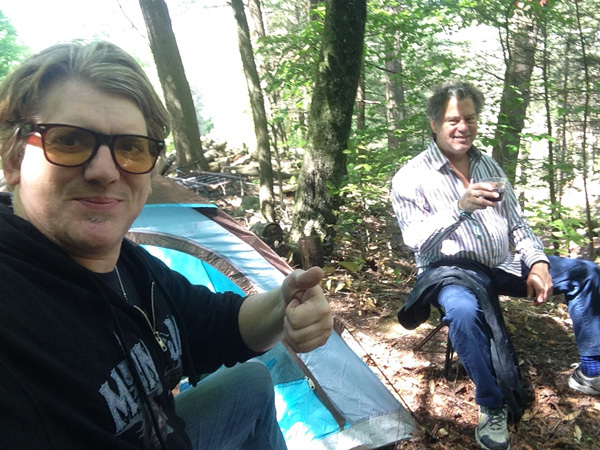 Some Adam Deitch on drums to funk things up… I had JAMNESIA! Our friends Miguel (Iona) and Bob D (Duncan Sales) joined us for some amazing fried chicken to start things off right! Shout out to Sean Aiken for just being the man. Everyone who knows us knows that we like to go down to Puerto Rico in February to get away from the winter for a minute. This year I was asked to DJ at Gringo Mania, a monthly party held in the center of Rincon at La Estacion. It’s basically an Army-Navy type store that also happens to have a bar in it. It’s a notoriously out of control time headlined by local heroes Dysnfunktion together with “Red Eye”, probably the best bartender in the area. We setup the sound system (provided by Steve-O) and my DJ rig amongst the fishing tackle, guns and ammunition and went for it! Rock, EDM, classics… anything goes and everything went! Was asked more than once if I could play again, come to San Juan and all of those things that make you feel all tingly inside… only in PR! 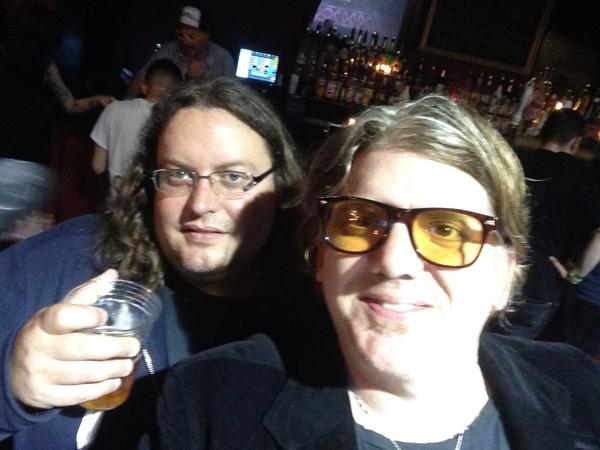 When we headed over to Brooklyn Bowl to check out his set, it felt like we were headed over to support our friend Raja, a great guitar player and genuinely nice guy. Well, he came onstage with an onslaught of a show… the music was over the top, african vibes, dancing the whole time. Special guests one by one, Amayo from Antibalas, Mayteana Morales from The Pimps Of Joytime… Tak on horns… friends, family! What a great concert for the Holiday Season… thanks Raja! 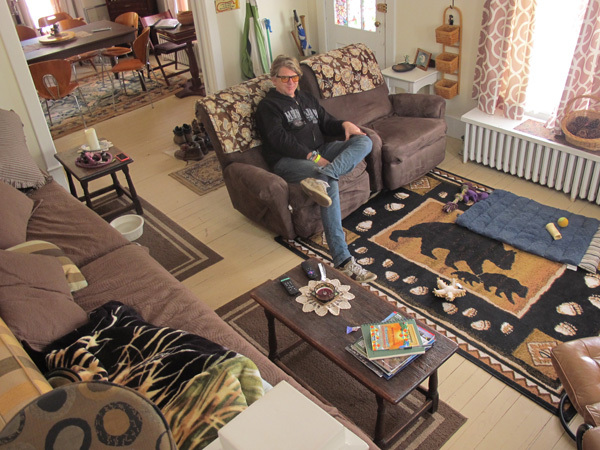 Love the last minute shows… friend called around 3 to say he had 2 tickets for Bob Dylan… THAT NIGHT! Reached out to a few friends I thought would like to go and Alex Douglas was the winner… headed up to the Beacon, took our seats and had a wonderful time. Felt like 2 adults enjoying ourselves. Bob doesn’t play the set you want, he plays the set he wants. Heck, he didn’t even pick up a guitar the entire show. His voice makes Tom waits sound like Pavarotti these days buy you just can’t get enough of it… the entire show I found myself just thinking about the history of modern music and that I was sitting in the presence of one of the greatest American folk legends that will ever be. I had the privilege of creating an ad campaign for The Stevie Nicks Self Portrait Collection gallery show. An ad for The New York Times and elements for the the walls of the show both in New York and the Dream Hotel in LA. 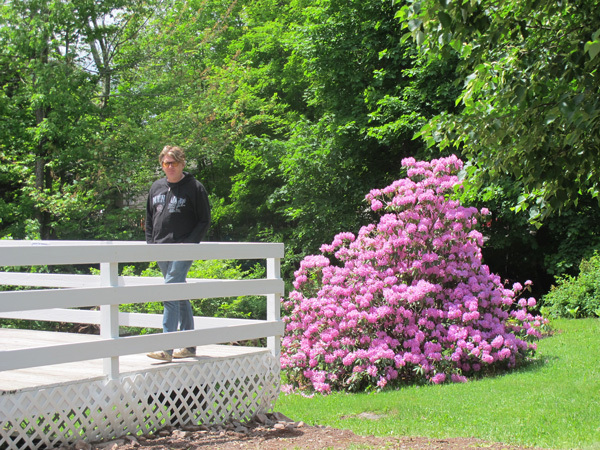 Happened to be a Fleetwood Mac show at the garden that week so I thought I should go for “work study”… hehe. First time sitting the Chase Bridge, a hanging balcony over the stage… I will always look for seats here from now on! Took my girl Lauren and our friends who were up from Philly for the night. 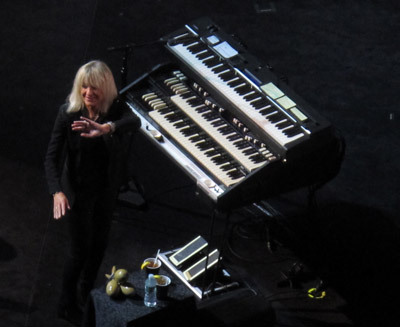 Fleetwood Mac delivered an unforgettable night of music, complete with Christine McVie! The gallery show was a couple nights later and oh man… Paparazzi platforms, huge flower arrangements, my work on the walls alongside Stevie’s Pics… are you kidding! 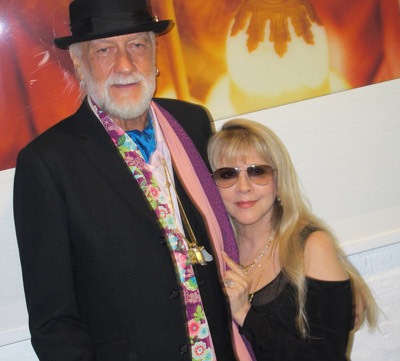 It was Cool beyond Cool… Stevie Nicks, MicK Fleetwood & Christine McVie were all there and the sound was DJ’d by Dave Stewart of The Eurythmics on a $100,000 Macintosh sound system… what?!!! 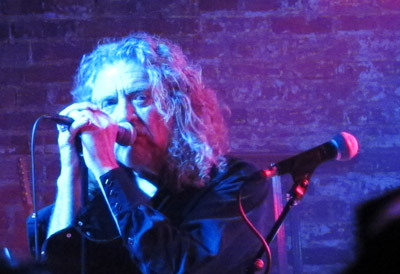 After the hang, just to calm down a bit from the excitement, we headed over to Brooklyn Bowl to catch a midnight set by Robert Plant. Yeah. Cus that’s how we roll. Sometimes, you need to have a “date night”. 12 years in with my girl so I know a thing or 2 about keeping things cooking…Once a year, around my birthday, we head up to Central Park for a glass of wine at the boat house followed by a row boat around the lake. It’s simple but I love it. This year however, we upped it just a bit but following our afternoon adventure with a Broken Bells concert. That this band plays shows is amazing to me… but sounding exactly like the records on a perfect night in the middle of our beautiful city… I could cry. Second Tom seeing this band… one of those must do things that you may not realize. You know every word and the band has been touring as a unit for years… tight, hard, rock. The new album hits hard, no need to disappear for the new tunes! Thanks to my best friend Brent Pearen for hooking up some amazing seats! BONUS Opening set by Steve Winwood!